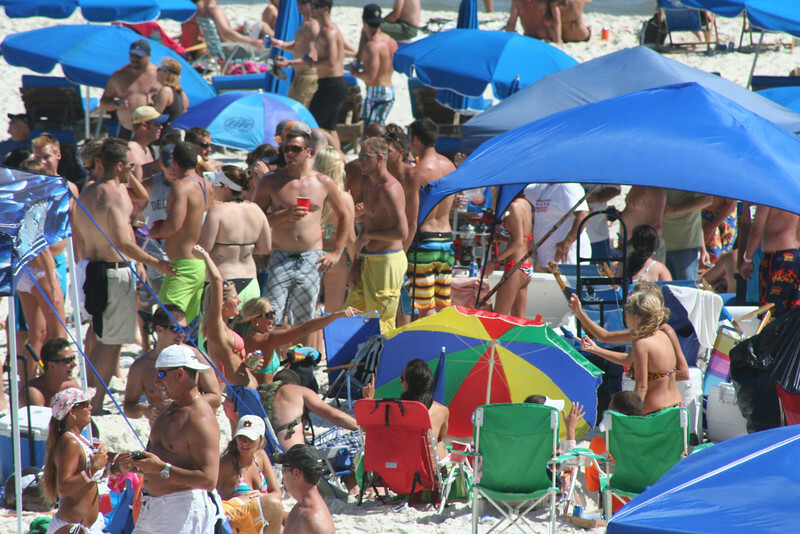 April 8, 2011 - Orange Beach, AL (OBA) & Perdido Key, FL (PKF) - The most anticipated spring event along the Alabama/Florida Gulf Coast has got to be the Flora~Bama Mullet Toss, aka America's Greatest Beach Party. 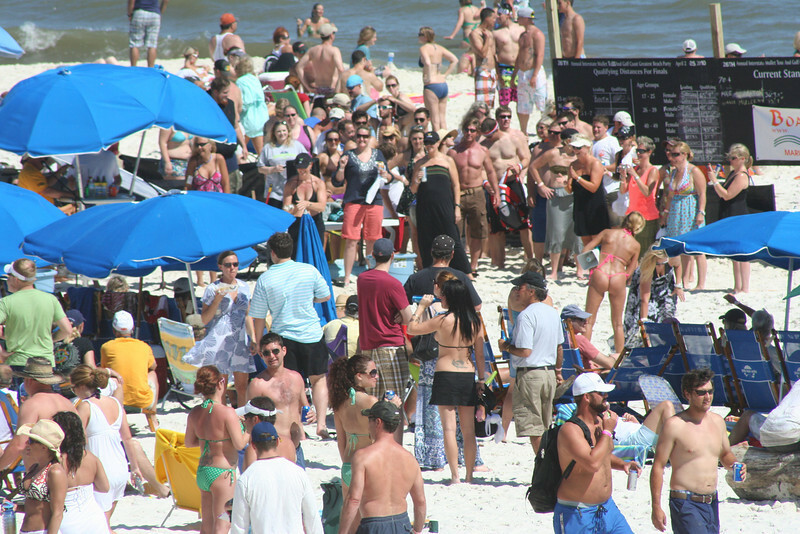 The event draws tens of thousands of people from all over the southeast to the white sandy beaches of the Alabama/Florida Gulf Coast. Mullet Toss traditionally takes place on the last weekend in April. The 2011 Mullet Toss starts on Friday, April 29th and runs through Sunday, May 1st. This year, thanks to Joe York, Southern Foodways and the University of Mississippi's Media Documentary Projects, the Flora-Bama Mullet Toss has made it onto the pages of the New York Times website in a short documentary. The Deadliest Throw documentary is making its debut this weekend at the 20th annual 2011 Florida Film Festival which takes place in and around Winter Park Florida April 8th-17th. With three weeks left to get your Mullet throwing arm in shape, watch this documentary to get inspired and possibly pick up a few throwing tips from other Mullet Tossers. April 6, 2011 - Orange Beach, AL (OBA) - Neighborhood Market is hiring approximately 100 associates to work at the new Neighborhood Market slated to open in May in Orange Beach. To facilitate applications, the retailer has a hiring center at 25241 Perdido Beach Boulevard in Orange Beach. The hiring center is currently accepting applications and will continue accepting applications from 8 a.m. – 5 p.m. Monday through Friday. 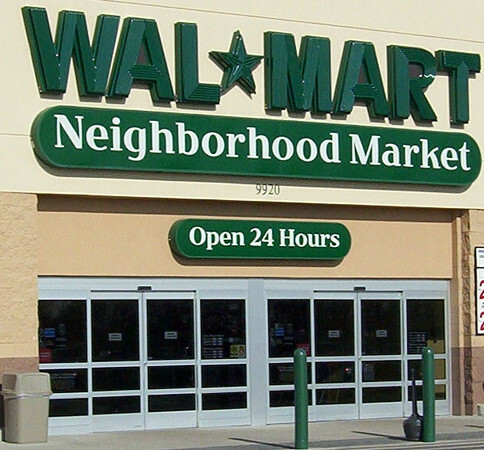 Interested applicants can apply online at www.walmartstores.com/Careers/7745.aspx. According to store manager Petesy Baker, the store will be hiring both full- and part-time associates. “We are excited to add this Neighborhood Market to Orange Beach and bring good jobs with career opportunities to the area,” she said. April 6, 2011 - Orange Beach, AL (OBA) - Perdido Key, FL (PKF) - Something fishy at the Flora~Bama is expected to have thousands of tourists, spectators and contestants alike to what has become one of the busiest weekends of the year for the Orange Beach, Gulf Shores and Perdido Key resort area. This spring’s celebration will feature local celebrities tossing out the first few fish at Noon, Friday, April 29th. The event consists of individuals on the beach throwing a mullet, one of the more popular and plentiful fish indigenous to the area, from a 10-foot circle in Alabama across the state line into Florida. The mullet, the only fish with a gizzard, is said to possess mystical properties, which, along with the pristine white sands, has attracted fun-loving folks to the area for decades. 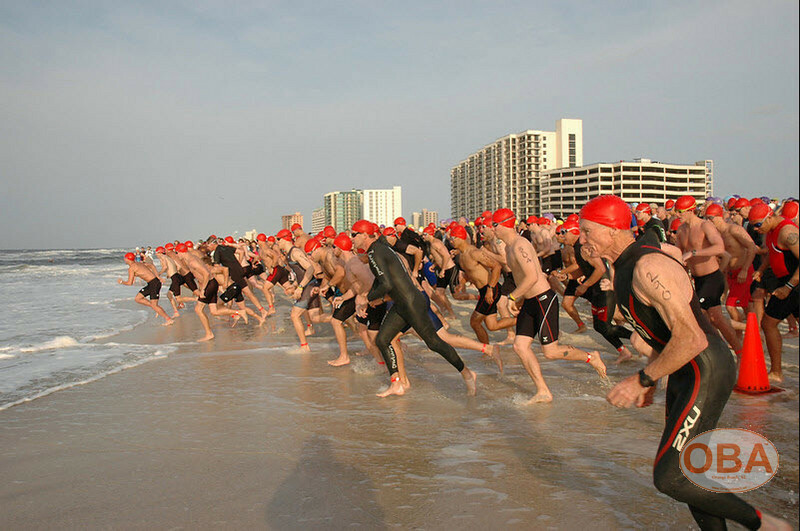 April 6, 2011 - Orange Beach, AL (OBA) - Perdido Key, FL (PKF) - The Flora-Bama® Lounge is pleased to announce the 15th Annual Mullet Man Triathlon on April 16, 2011. The Mullet Man Triathlon will be held in conjunction with the 27th Annual Interstate Mullet Toss and Great Gulf Coast Beach Party, April 29 – May 1st. The Mullet Man Triathlon activities include; a three consecutive event endurance race that will start at 7:30 a.m. It consists of a ¼ mile swim in the Gulf of Mexico, followed by a bike race of 15 miles that will begin at the Flora-Bama® Lounge heading west 7.5 miles in the north lane of Perdido Beach Blvd. (Route 182) to the Alabama State Park, turn around and return in the south lane to the Flora-Bama® Lounge. The third segment will be a 4-mile run that will begin at the Flora-Bama® Lounge, heading west, under Perdido Pass Bridge, and back. April 4, 2011 - Orange Beach, AL (OBA) - It’s time to SPRING CLEAN! CALL TODAY and reserve your space in HUGE Community Yard Sale, retail vendors, arts and crafts! Mardi Gras Krewe, Treasures of the Isle announces the 3rd annual Treasure Hunt and Car & Motorcycle Show. The event will be held on Saturday, April 16, 2011, at the Orange Beach Sportsplex on Canal Road. Spectators and shoppers, mark your calendar to attend this FREE admittance event! Food and fun for the whole family, including yard sales, local artist and craftsmen, retail, kids activities, food booths with all your favorites, including BBQ, lemonade, nachos and fresh strawberry shortcakes. In addition, the festival will feature our 2nd Annual Open Car/Motorcycle Show. This festival will benefit local charities in Baldwin County. This two-character comedy takes place in the suburban Westchester County, N.Y., kitchen of Maude Mix, who is having a tough day: her husband is off on a weekend spree with his secretary and she can't get rid of the pesky neighbor who has just moved up from Texas. Hannah Mae Bindler badgers Maude into friendship and the two eventually join forces against their errant and erring husbands. 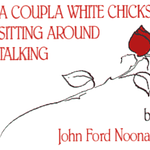 This long-running Off-Broadway hit opened in 1981 and starred Susan Sarandon and Eileen Brennan; Theatre West’s production features Laura Sebastian as Maude Mix and Yasmine Cobbet as Hannah Mae Bindler. The show is directed by the theatre’s Artistic Director, Paxton McCaghren. According to McCaghren, women will know the characters and men will cower from them. “This dark comedy about relationships will have you laughing at the absurdities and aching from the realism,” he said. The sight of that buck so close will never fade, although I have fond memories from plenty of other visits to Alabama State Parks over the years. For those of you with lasting memories from the Alabama State Parks, there is a great way to share those in a way that could possibly pay off handsomely. Alabama State Parks has a website promotion for 2011 called “Alabama State Parks…..Where Memories Are Made.” Visitors can share their memories in two categories – written or video – with a chance to win a $250 gift card in each category. Photos may be attached in the written memories categories, although not required for entry. March 31, 2011 - Orange Beach, AL (OBA) - Gulf of Mexico - Biologists with the Florida Fish and Wildlife Conservation Commission (FWC), along with scientists from California State Polytechnic University, have identified a new marine species found in the Gulf of Mexico. A scientific publication released Thursday officially announced the discovery of Chromodoris fentoni, a type of shell-less snail known as a nudibranch (pronounced “nu-da-brank”). 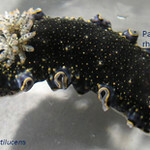 FWC biologists first observed this nudibranch when commercial aquarium-trade fisherman Daniel Fenton of Brandon donated sponges and other specimens to the FWC’s Fish and Wildlife Research Institute (FWRI) in St. Petersburg in 2009. Fenton collected the specimens from the Gulf of Mexico, off Tarpon Springs. While sorting through the donation, FWRI biologists Nancy Sheridan and Joan Herrera observed the unusual creature. 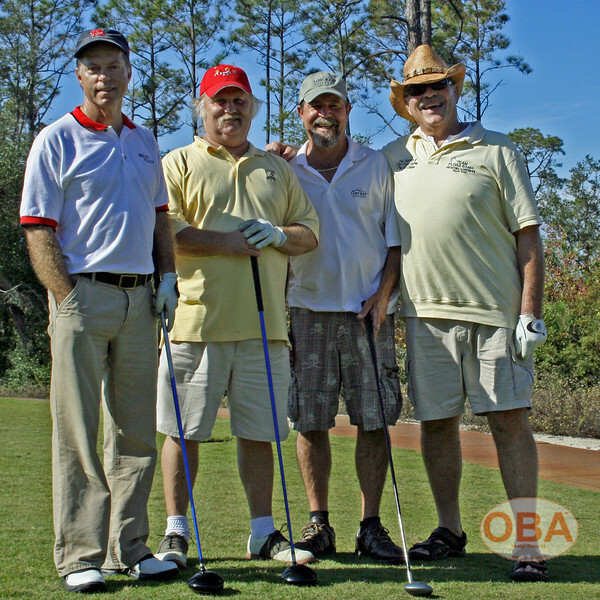 March, 31, 2011 - Orange Beach, AL (OBA) - The Flora-Bama® Lounge & Package is teaming up with Lost Key Golf Club in Pensacola, FL to sponsor one of the most innovative and fun golf tournaments ever played in this area. The 14th Annual “Mullet Swing” Golf Classic will be held Wednesday, April 27th with a shotgun start at 11:00a.m. A portion of the proceeds will go to the Multiple Sclerosis Society. The entry fee is One Hundred Seventy-Five Dollars per person (2-person team). The teams will compete for hole-in one and other contests, which include prizes such as Vacation Get-A-Ways for Two and numerous other prizes. The "Mullet Swing" Golf Classic will have special activities which will include coming closest to the mullet, longest drive, closest to the pin and new and different ways to win prizes. After the tournament golfers will go to the Flora-Bama® Lounge for an Awards Ceremony and Reception featuring our own original music. 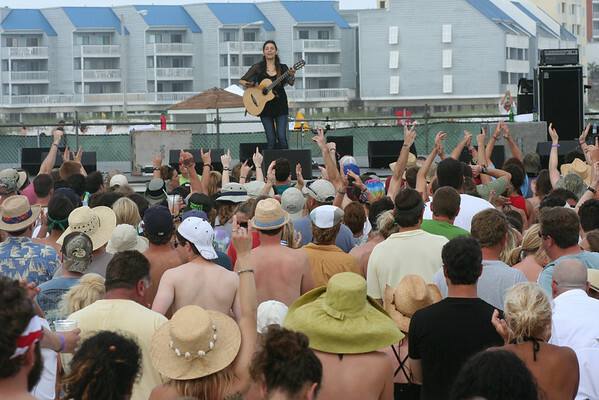 March 31, 2011 - Gulf Shores, AL (GSA) - Hangout Music Festival has announced the daily performance schedule for their 2nd annual beach, music and arts event. Headliners including Widespread Panic and My Morning Jacket open the festival on Friday, May 20th, Foo Fighters, The Flaming Lips, and The Avett Brothers round-out Saturday, May 21st, and Paul Simon, The Black Keys, and Michael Franti and Spearhead close-up the festival on Sunday, May 22nd. 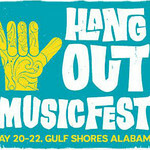 A full schedule with more than 60 bands can be found on the Hangout Music Festival website. March 29, 2011 - Orange Beach, AL (OBA) - The Circle of Hope Through a Day of Prayer community event will be conducted at Cotton Bayou Beach Access in Orange Beach, Alabama on April 20, 2011. The prayer vigil will begin at midnight with several local churches taking turns “sponsoring” hours of prayer and will culminate in a large prayer service at 6pm, Wednesday evening. The community wide service will have many local pastors and community leaders speaking and praying in honor of the one year anniversary of the Gulf Oil Spill. The focus will be to remember the struggles that the Gulf Coast has endured over the past year and to summon strength and hope as we move into the future. March 25, 2011 - Orange Beach, AL (OBA) - The Orange Beach Elementary School Parent Teacher Organization is pleased to announce the plans for its Inaugural Drawdown to benefit the Orange Beach Elementary School. The event, “FOOLS GOLD”, will be held on April 1, 2011. The purse or “pot” is $5,000! The OBES PTO FOOLS GOLD Inaugural Drawdown will be held at the Community Center in Orange Beach. Tickets for the event are $100/couple. March 25, 2011 - Orange Beach, AL (OBA) - Coastal conservation took a significant step in 1986 when the Weeks Bay watershed in Baldwin County was added to the National Estuarine Research Reserves System, which encompasses more than 1.3 million acres of coastal and estuarine habitat in 28 reserves located in 22 states and Puerto Rico. To celebrate that inclusion, Weeks Bay Reserve will hold a 25th anniversary celebration with Weeks Bay Day on April 2 at the Reserve’s Tonsmeire Weeks Bay Resource Center on Highway 98 about 12 miles southeast of Fairhope. Weeks Bay Day will be a family-oriented celebration from 9 a.m. to 3 p.m. Scheduled activities include: tours of the facility’s pitcher plant bog, a bird show with raptors, as well as a presentation on snakes, other reptiles and amphibians. A Watershed Wagon will have a variety of activities to teach attendees more about watersheds and how to protect those areas with a focus on water quality. 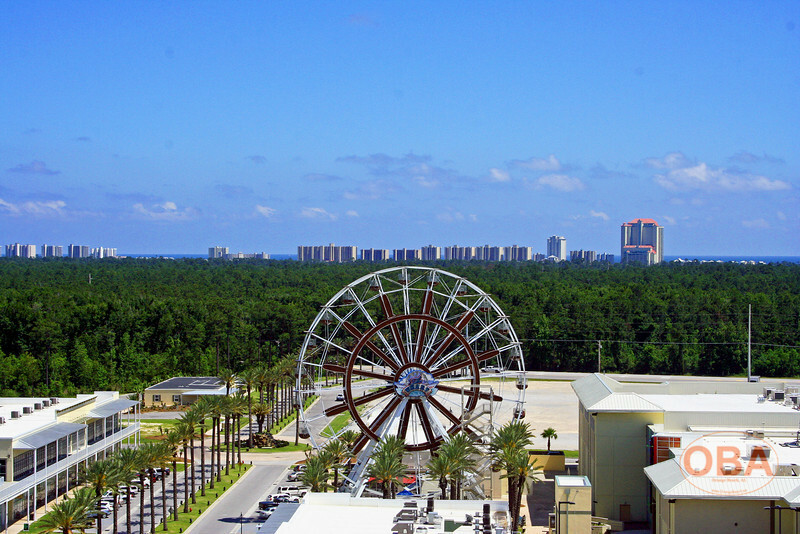 March 23, 2011 - Orange Beach, AL (OBA) - The month of March marks the return of Spring Break to Alabama’s coast. The roads leading to the beaches are packed with cars this time of year, as families, college students, and tourists roll in for a relaxing week of fun, sun, and relaxation. Many local business owners worried that tourists would make plans for other destinations this year; however, Spring Break 2011 may be an early indicator of the resilience of the Gulf Coast. Two weeks into the season, optimism is abounding from local restaurant owners and vacation rental companies. Missy Zak, Vice-President of Marketing for Meyer Real Estate, is very excited to see business returning and the possibility of a resurgent tourism season. 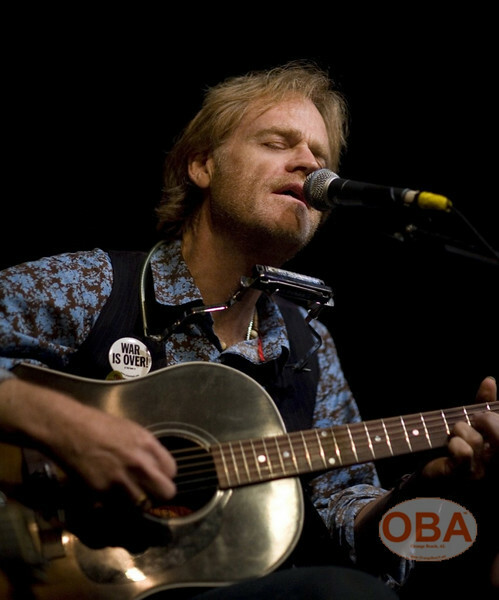 March 22, 2011 - Orange Beach, AL (OBA) - Singer-songwriter BOB LIVINGSTON has never been a traditional Texas country musician living the honky-tonk life, even though he’s spent more than his share of time on the roadhouse circuit with some of the most colorful musicians in Texas. As a member of Austin’s legendary Lost Gonzo Band, performing and recording with such musical visionaries as Jerry Jeff Walker, Michael Martin Murphey and Ray Wylie Hubbard, Livingston played an integral role in creating the music that first earned Austin the designation of ‘Live Music Capital of the World’. Achieving recognition in their own right, the Gonzos’ self-titled debut record was named by ‘Rolling Stone’, “one of the best albums ever to come out of Austin”. Livingston has seen a lot of the world since growing up in musically fertile West Texas. Hailing originally from Lubbock, his interests were more ‘Cosmic’ than ‘Cowboy’ and have prompted him to delve into the music and mysteries of many cultures. Traveling since the 80’s as a Music Ambassador for the US State Department, Livingston has taken Texas music as far afield as India, Africa, Southeast Asia and the Middle East, demonstrating again and again the unique power that music has to build bridges between peoples of the world. As Livingston says, ‘When all else fails, music prevails’. This philosophy earned him the honor of being appointed, ‘Austin’s International Music Ambassador’, in November of 2009 by the City Council. 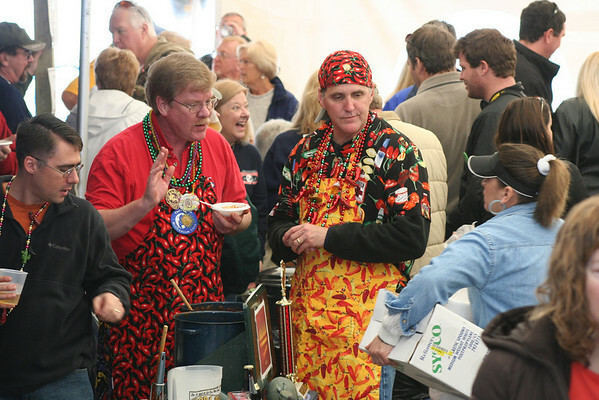 March 22, 2011 - Orange Beach, AL (OBA) - The Lower Alabama Chapter of CCA Alabama will hold its 12th Annual Beach Party at the Caribe Resort in Orange Beach Alabama from 6:00 pm to 10:00 pm on Saturday, April 9th, 2011. There will be a huge “Silent Auction” featuring tackle, art, boating gear, golf, inshore fishing packages, jewelry and clothing. The “Live Auction” will include, hunting trips, art and a two day fly fishing trip to Arkansas. There will be raffles, door prizes, and fun for everyone. Admission is only $55/couple in advance or $65 on the day of the event. March 21, 2011 - Orange Beach, AL (OBA) - The City of Orange Beach Committee of the Whole (COW) meeting will take place Tuesday at 5:00pm at the Wharf Conference Center. There will be an open House at the Conference center from 1:00pm until 5:00pm for citizens to tour the facility. The City is considering buying the the Conference Center and is seeking feedback from citizens. 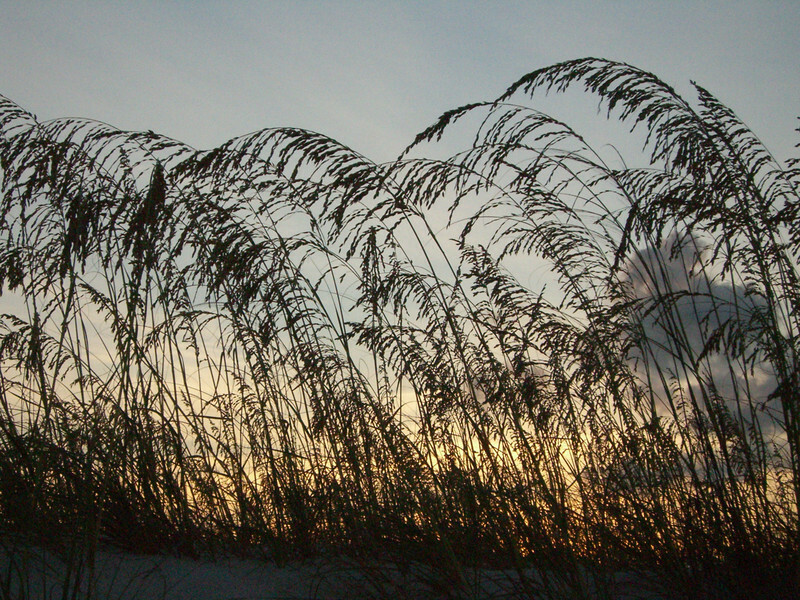 March 21, 2011 - Orange Beach, AL (OBA) - The work of Gulf Shores artist Shellie Reese will be on display at the Orange Beach Arts Center March 21 - May 12 as part of the Visiting Artists and Special Exhibits Series. Reese's artwork may be familiar with many Gulf Coast residents from the 2010 Shrimp Festival Poster. Her work was the inspiration for a line of figures, music boxes and candlesticks for a major department store. Some of these figures will be displayed in this exhibit. Reese's paintings have so much movement and color that they appear to burst onto the page. As you study her work, however, you see the intricacy not only of the drawings but of the thoughtfully executed colors. Watercolor is an exacting medium and Reese's work reveals an artist who is proficient in its application. 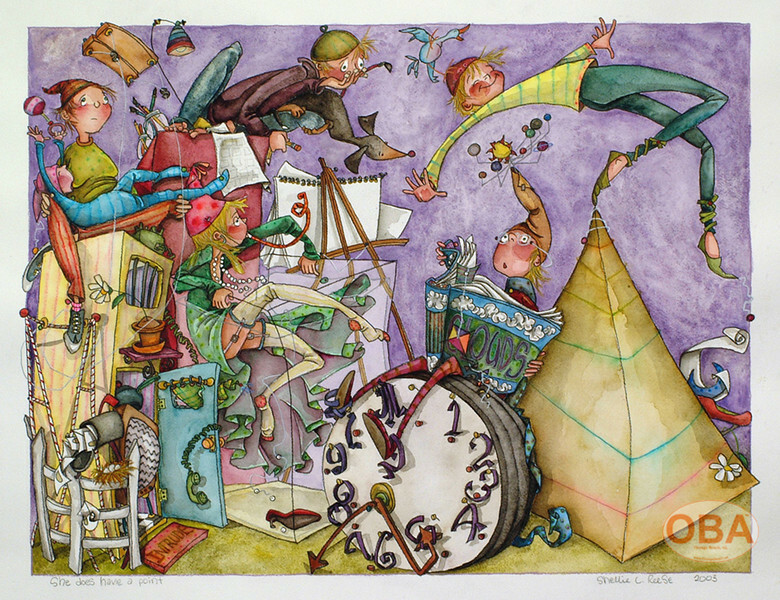 Much of her work is lighthearted and whimsical with the title serving as a wink and a nod to the picture. Each scene is very much a story within itself spoken with gesture and expression. With no strings attached and a very clever mixture of wit and wisdom, the characters of the paintings act out a scene from Reese's imagination. Reese's paintings will certainly delight viewers of all ages. March 18. 2011 - Orange Beach, AL (OBA) - Students at Orange Beach Elementary School have 60 new technology tools courtesy of Coastal Baldwin Education Enrichment, Inc. 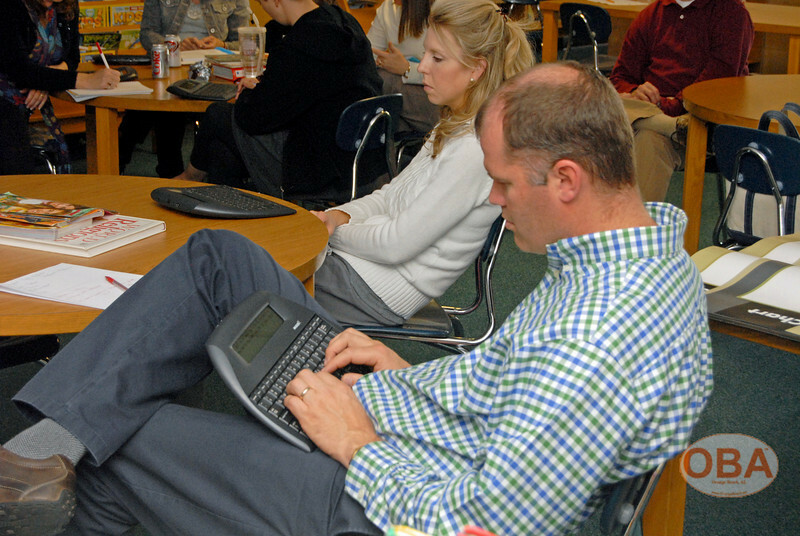 The organization, formerly known as the Alabama Gulf Coat Educational Foundation, voted to fund almost $9,000 to purchase 60 Neo2 boards, software and mobile labs at it February meeting. March 18, 2011 - Gulf Shores, AL (GSA) - Purple is not a color usually associated with the Gulf Shores. White sands, blue water and sky or the Pink Pony Pub come to mind when thinking of the city. 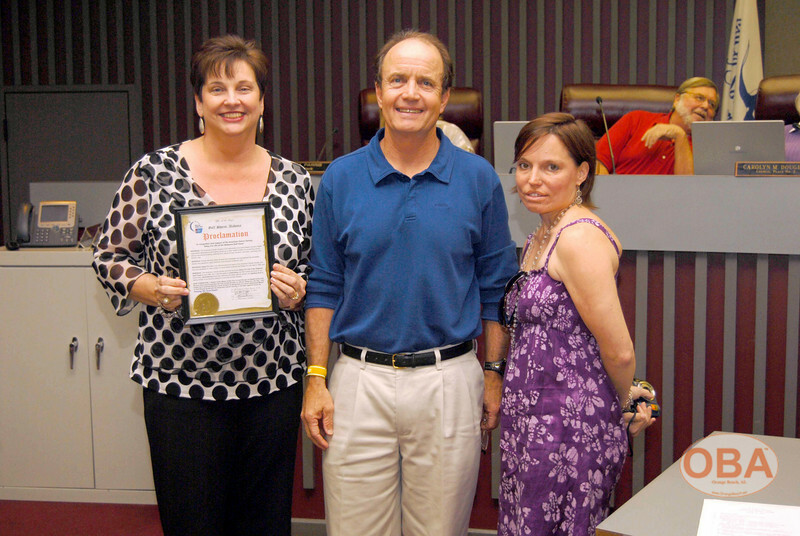 However in a proclamation signed Monday, Mayor Robert Craft and the City Council voted to paint Gulf Shores purple during April in support of the 2011 American Cancer Society Relay For Life of the Alabama Gulf Coast event. Craft said the proclamation meant more to him than many realize. Craft is a cancer survivor, having undergone treatments for the disease since he was elected mayor in 2008. “This is something near and dear to my heart,” he said. March 17, 2011 - Orange Beach, AL (OBA) - The first Cobia caught in Alabama waters of the 2011 season is on ice. Just like the 2009 season, the first Cobia was caught on St. Paddy's Day. 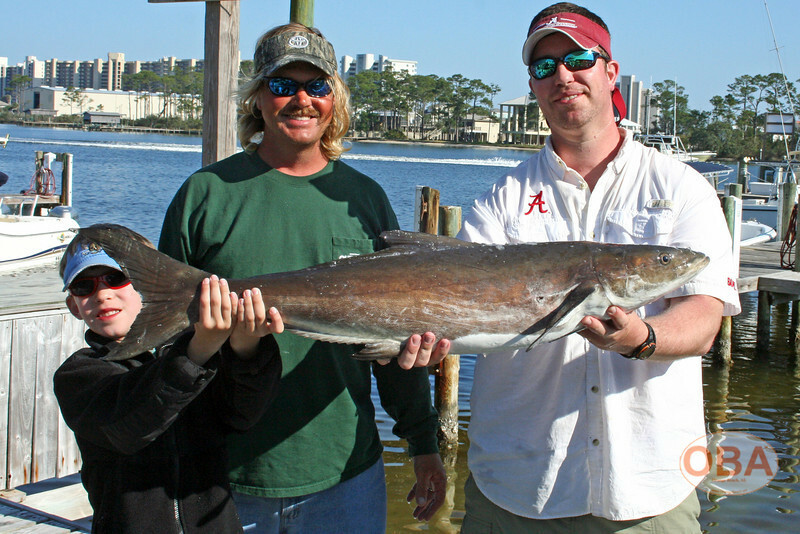 The 40" long Cobia was caught by Adam Aderholt of Tuscaloosa, Alabama. A scale was not available but the fish is estimated to be about 35 pounds. Adam, his father, Tom, and his son, Shane, were fishing with Capt. Rob Kritzmire of Rob's Inshore Fishing Charters who operates out of Romar Harbor Marina in Orange Beach. The anglers hooked the Cobia at 10:50am just off the beach in front of Caribe Resort in Orange Beach using an artificial lure (jig). Besides the Cobia the anglers caught their limit of Pompano and Sheepshead. Cobia spend the winter in south Florida and start their migration through Alabama Gulf Coast waters in the middle of March. They are usually caught by sight fishing. Each year around this time, boats with towers can be seen searching the near shore along the Alabama coast for the prize catch. 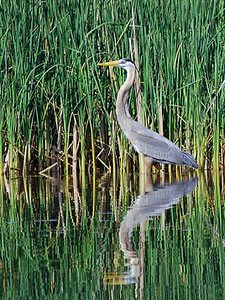 One angler is up in the tower spotting for the fish swimming near the surface. Once found, a spinning rod is used to cast the bait toward the fish. Pictured above: Shane Aderholt, Capt. Rob Kritzmire & Adam Aderholt with the first Cobia of the 2011 season. Click on the image for a larger view. March 17, 2011 - Orange Beach, AL (OBA) - The City of Orange Beach is hosting a second Open House at the Wharf Conference Center on Tuesday, March 22, 2011 from 1pm to 5pm. The purpose of the second Open House is to allow the citizens of Orange Beach another opportunity to tour the facility and then to be able to form an opinion regarding the potential purchase of the Wharf Conference Center by the City of Orange Beach. This is the second public meeting regarding this potential purchase. The City Council is expected to make a decision regarding the purchase by the end of March. Elected officials and City staff will be on site to answer questions. Questions and comments regarding the potential purpose will be also be welcomed during the Committee of the Whole Council Meeting that will be held at the Conference Center at 5pm, immediately following the Open House. The Wharf Conference Center is located in Orange Beach, Alabama on Canal Road, 4671 Wharf Parkway. March 15, 2011 - Gulf Shores, AL (GSA) - The Hangout Music Festival has added twelve more acts to its May 20-22, 2011 lineup. The newest artist additions include The Avett Brothers, STS9, Grace Potter and the Nocturnals, Brandi Carlile, JJ Grey and Mofro, Karl Denson’s Tiny Universe, Big Gigantic, Soja, Railroad Earth, Greensky Bluegrass, Rival Sons and Honey Island Swamp Band. Last month the 2nd annual Hangout Music Festival announced national headliners Paul Simon, Foo Fighters, Widespread Panic, The Black Keys, My Morning Jacket, Flaming Lips, Cee Lo Green plus dozens more. For a complete artist listing, see below. Hangout Music Festival is in close proximity to a wide assortment of lodging options including fully equipped and affordable vacation rental condominiums, beach houses and traditional hotel rooms. Hangout attendees are encouraged to use the Hangout shuttle system with convenient pick-up and drop-off locations throughout Gulf Shores and Orange Beach. The shuttle runs until 4 am Friday and Saturday and until Midnight on Sunday. Advance all-you-can-ride passes go on-sale this Wednesday, March 16th at 10 am for $20. Patrons can also purchase $5 one-way trip passes. Visit the Hangout website for a shuttle map and more information. March 9, 2011 - Orange Beach, AL (OBA) - The City of Orange Beach is hosting an Open House at the Wharf Conference Center on Tuesday, March 15, 2011 from 1pm to 5pm. The purpose of this Open House is to allow the citizens of Orange Beach to tour the facility and then to be able to form an opinion regarding the potential purchase of the Wharf Conference Center by the City of Orange Beach. This is the first public meeting regarding this potential purchase. Future meeting dates and times will be announced. Elected officials and City staff will be on site to answer questions. Questions and comments regarding the potential purpose will be also be welcomed during the Council Meeting that will be held at the Conference Center at 5pm, immediately following the Open House. The Wharf Conference Center is located in Orange Beach, Alabama on Canal Road, 4861 Wharf Parkway. March 9, 2011 - Orange Beach, AL (OBA) - Over the last forty plus years, the Flora-Bama Lounge has endeavored to give something back to the community whenever possible. Thanks to the participants and spectators at this year’s 17th Annual Super Chili Bowl Cook Off on Saturday, February 5th, we are once again able make a contribution back to our community. There were a total of sixteen teams registered for this year’s event to benefit the American Cancer Society Relay for Life, which supports the American Cancer Society’s Mission. The American Cancer Society is the nationwide community-based voluntary health organization dedicated to eliminating cancer as a major health problem by preventing cancer, saving lives, and diminishing suffering from cancer, through research, education, advocacy, and service. 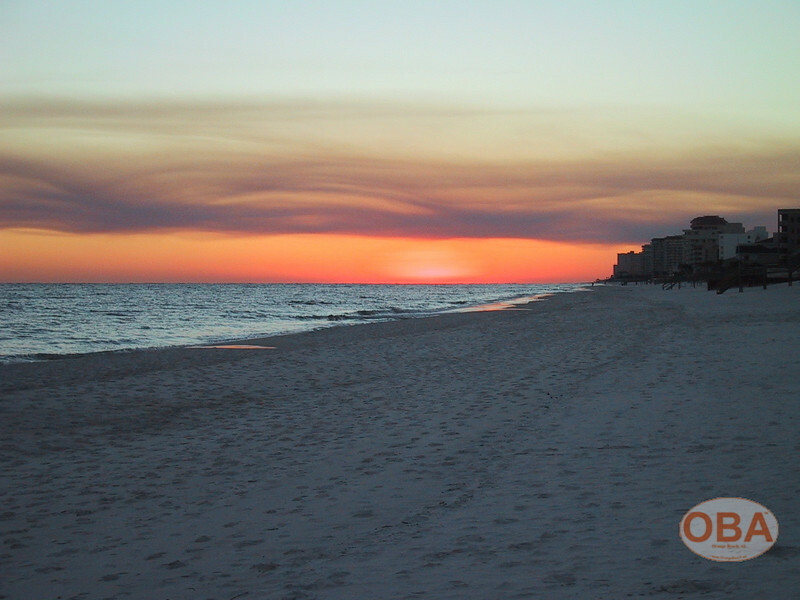 March 9, 2011 - Orange Beach, AL (OBA) - Do you have a favorite Alabama State Park memory? Was it a camping trip with a loved one? A birthday party on the beach? A hike at sunset? If so, you could win a $250 state park gift card by entering “Where Memories Are Made,” the latest promotion from Alabama State Parks. To enter, submit a written memory (with or without a photo) or video to the Alabama State Parks website, www.AlaPark.com. A $250 “Stay and Play” gift card will be given away every three months during the promotion. The winning memories will be chosen via a random drawing. March 8, 2011 - Orange Beach, AL (OBA) - Today's Orange Beach Mardi Gras Parade starts at 2:00pm. The Mystics of Pleasure will join in today's parade. The Mardi Gras Boat Parade starts at 3:00pm. The Orange Beach Parade will start at Wintzell's Oyster House and end at the Rite Aid on Orange Beach Blvd. (Hwy 161). The Mystics of Pleasure was originally scheduled to parade on Saturday night, but was cancelled due to the bad weather. 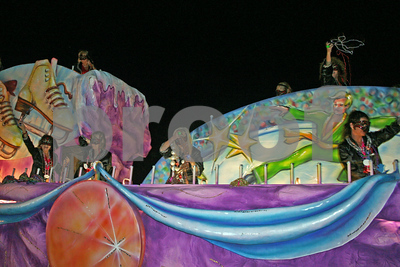 The first Pleasure Island Mardi Gras Parade will take place in Gulf Shores starting at 10:00am this morning. The Gulf Shores Parade will start on Highway 59 at the bottom of Intracoastal Canal Bridge and end at Main Beach in Gulf Shores. There are parade watching opportunities all day on Pleasure Island. "Laissez les bons temp roulet!" March 7, 2011 - Orange Beach, AL (OBA) - The Orange Beach Committee of the Whole meeting scheduled for Tuesday night has been moved to Thursday, March 10th due to Mardi Gras. Next weeks meeting will return to its normal Tuesday evening. All Orange Beach Council meetings start at 5:00pm. March 7, 2011 - Gulf Shores, AL (GSA) - The Alabama Gulf Coast Area Chamber of Commerce is hosting its 18th annual golf tournament for education, and the time couldn’t be better! As the temperatures start to warm, spring is in the air and golfers are on the greens. This year, the golf tournament will be held on Friday, April 1st at Peninsula Golf & Racquet Club in Gulf Shores, AL. The cost to participate is $125 per player. Lunch is included along with a complimentary beverage cart, provided by Gulf Publishing Company and Gulf Distributing. All net proceeds benefit Coastal Baldwin Education Enrichment, the education foundation serving Gulf Shores and Orange Beach. Space is limited, so contact the Chamber today! To register, sponsor, or donate a raffle prize, please contact Ann Motes at (251)968-7220 or visit www.alagulfcoastchamber.com for more information. 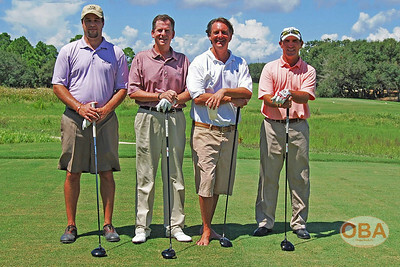 Photo caption: 2010 1st Place Low Gross Team Jim Edgemon, Mark Stillings, Tim McCrory and Rea Schuessler with Kiva Dunes. Photo by Vicki Stillings. March 7, 2011 - Fairhope, AL (FA) - In support of the Fairhope based 1165th Company that is deployed in Afghanistan, the Citizens for Local Troop Support Committee are offering bright, yellow pet bandanas to raise funds for the families of the 1165th. A donation of $7 for a large pet bandana and a $5 donation for a small pet bandana will be accepted The bandanas are available at Fairhope Animal Clinic on Greeno Road or at Fairhope City Hall. Fairhope City Hall is open Monday through Friday, 8 a.m. to 5 p.m. and FAC is open Monday through Friday, 7:30 a.m. to 5:30 p.m. and Saturdays from 8 a.m. to noon. All funds raised will help support activities of the Local Troop Support Committee, the 1165th and the families of the 1165th. For additional information, call 990-0218 or 928-3292. 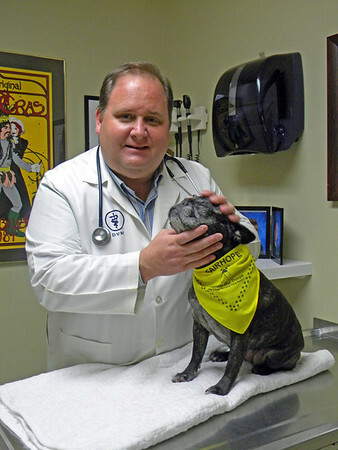 Pictured is Dr. James Corte of Fairhope Animal Clinic with Margie who is wearing a troop support bandana. Margie is owned by Margo Hancock of Spanish Fort.